IAG’s award-winning CIO Kevin Angland has swapped insurance for power, having accepted the position of GM digital services at Mighty River Power, the power company has announced. Mighty River Power CEO Fraser Whineray said Angland’s experience in customer-led technology and success with some of the country’s biggest technology projects would make him an important addition to the leadership team. 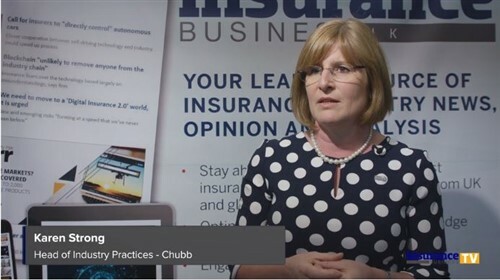 “There are strong parallels between our business and the insurance sector with customers firmly front of mind and the increasing importance of data and digital platforms to deliver value to customers,” Whineray said. Angland is to join Mighty River Power later in the year, which would coincide with the company moving to a single new Mercury brand. The CEO of Australia’s largest broker networks has agreed to extend his contract for a further three years. Robert Kelly, CEO and managing director of Steadfast, has now agreed not to terminate his employment contract before 31 December 2020, as opposed to the date previously agreed, which was 31 December 2017. An insurance veteran with more than 45 years’ experience, Kelly is one of the most respected leaders in the industry. He was awarded the ACORD Rainmaker Award in 2014. He co-founded Steadfast, Australia’s largest broker network, which recently celebrated its 20th anniversary. 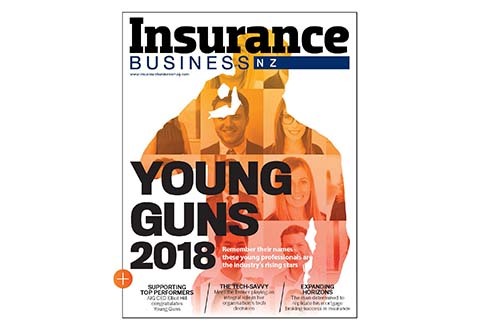 A new index designed to spot the world’s next big disruptive businesses will have input from Suncorp New Zealand executive Dan Wilkinson. The inaugural Disrupt 100, which will be a bi-annual index highlighting those businesses which have the most potential to influence, change or create new global markets, will be published this month. Wilkinson, who is executive manager of customer technologies at Suncorp NZ, will take part as a judge alongside some of the world’s leading entrepreneurs, investors and business people including representatives from companies such as Facebook, KPMG and Microsoft Accelerator. Wilkinson said his involvement aligned closely with the work being done at Suncorp NZ to identify new opportunities to meet customers’ needs. “Disrupt 100’s focus on customer and customer behaviour gets to the heart of what is deeply fundamental to successful disruption. The judges will select from a short-list of disruptive ventures sourced from over 500 influencers across the world. Southern Response has appointed Peter Jensen to take the helm for the final stages of its claim settlement program. Jensen, who is a Christchurch local, has come from six years as CEO of Spanbild Holdings, Ltd, which is a Christchurch-based construction company with multiple business units operating across Australasia. Southern Response board chair Ross Butler said Jensen’s experience at the heart of the rebuild, including chairing a local company that has developed innovative housing solutions to help speed up residential rebuilds, and being a director of Odyssey House, made him an ideal candidate. “Peter Jensen has extensive business experience managing complex projects, leading large teams and delivering excellent customer service in complex environments,” Butler said. The insurer was equally wowed by Jensen’s ‘strong vision’ for the final stages of Southern Response. Jensen will start at the beginning of July to allow for a smooth transition with outgoing CEO Peter Rose who resigned earlier this year. Butler paid tribute to Rose, saying: “I want to express again how proud the board is of Peter’s contributions, and our gratitude for his willingness to stay on longer than he intended.